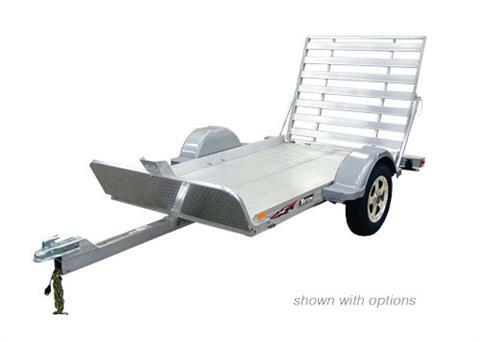 Our AUT line of all aluminum utility trailers is designed with the utmost precision to give you years of trouble-free service. With features like straight or bi-fold ramp options, and full-length channels for adjustable tie-down positions, you can be sure every detail has been crafted to meet the unique needs of large equipment, landscaping material, and commercial goods hauling. Without Brakes - 2,200 lbs. Without Brakes - 1,850 lbs.